Hospital waiting rooms across the country utilize cable or DirecTV. The people in charge unfortunately don’t often realize how risky it is to use those services in their waiting areas. The best waiting rooms out there take full advantage of what a TV is: a tool to reach patients while they’re waiting. In an age of technology where TV digital signage, signage apps, and medical TV displays are growing in popularity, there’s never been a better time to explore waiting room entertainment ideas. If you’re curious where to begin looking for the best waiting room software, start your search here. Cable TV is great, at home; however the same can’t be said in a medical office waiting room. When you settle for cable or DirecTV, you’re putting something on the TV that has nothing to do with your hospital. The time patients spend looking at the TV is time you could have exposed them to your brand, lesser-known services, or any reasons for them to come back. 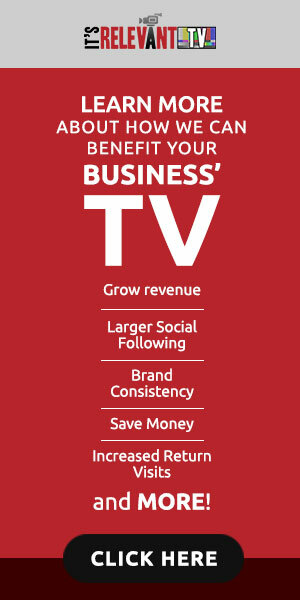 With the right waiting room software, your lobby TV can become an effective tool for inexpensive marketing. Whether it’s a local commercial advertising a competing hospital, a news story highlighting some great things another hospital did; or even a bad news story portraying your hospital in a bad light; cable and DirecTV aren’t safe solutions for waiting room TVs. Digital waiting room displays eliminate the risk of competitor ads showing up on your TV. That is, unless you fall for a free medical TV service for your hospital waiting rooms; in which case you’re at risk for pharmaceutical ads taking away business that should be yours. Don’t be fooled by healthcare TV providers trying to offer you “free” medical office signage. The idea of lacking control when it comes to anything is pretty serious. You wouldn’t want to lack control while driving, or with the staff you hire, so why wouldn’t you want to control what people are seeing on your TV? A good waiting room opts for safe, family-friendly content on the TV. However, safe and family-friendly isn’t guaranteed with TV services like cable and DirecTV; which have no way of blocking graphic/inappropriate content. As a result, people can hold you and your facility accountable for things that are beyond your control. When shopping for the best TV service for your hospital waiting rooms, look for something that works for you, and keeps your patients happy. It’s Relevant TV is a waiting room TV platform designed with medical offices in mind. Combining the best aspects of television and digital signage; IRTV gives you control over what comes on your TV. With It’s Relevant, there’s no missed opportunity to reach your visitors; because your marketing ads play alongside the interesting, family-friendly content that comes with IRTV. Don’t settle for a TV service that you don’t control, or one that invites competitor ads onto your screen. You can do better, and in this growing age of technology there is no reason to stick with an antiquated cable service.